Wow, it’s hard to believe that it’s already been a week in the beautiful city of Copenhagen! I’ve been experiencing a mix of emotions over the past seven days that is best described as mostly excited, a little overwhelmed, and only a tinge homesick – sorry, Mom! 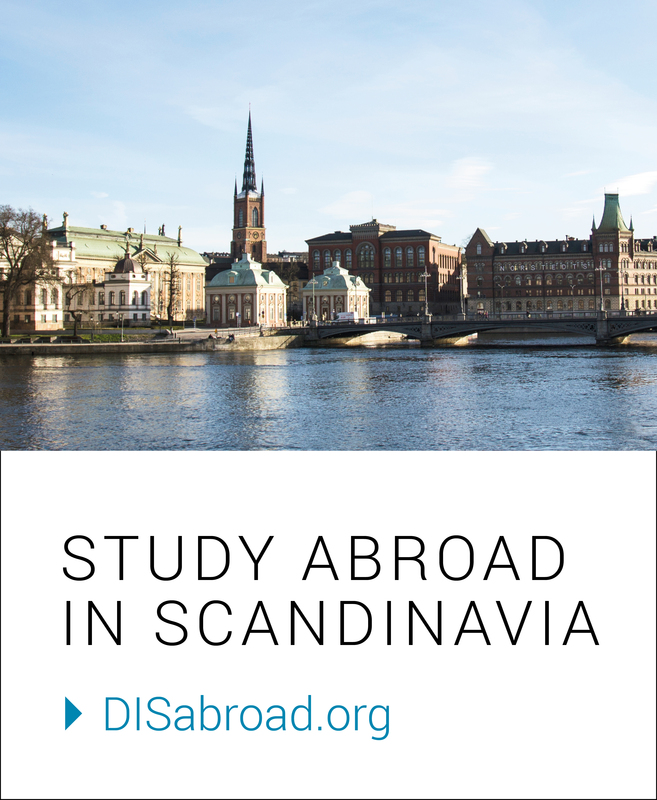 In the first week, my classmates and I have already had to complete our first assignment in preparation for our upcoming study tour, some of us will head to Oslo and Stockholm and others to Helsinki and Stockholm. It’s hard to believe that not only will I be experiencing the beauty of Copenhagen for the most part of seven weeks this summer, but also Oslo and Stockholm! I only wish that there was time for all three! Hello! My name is Lauren, but you can call me “Lo.” I am a graduate student at Drexel University, and I’m currently studying towards an MS Interior Architecture and Design. Having come from a background in Public Relations/Social Media, Drexel has been an exciting adventure thus far, but from the get-go, I knew that I wanted to incorporate study abroad into my studies. I never went abroad in undergrad, and it was something that I always regretted. Anyone who knows me knows that I am all about traveling and experiences. To me, this summer is one giant opportunity to learn more about design along with the world and the people who inhabit it. It’s also a summer for me to learn more about me; someday, I hope to live abroad on a more permanent basis. I want to experience the world from a new perspective, and I am so excited that this summer while taking the Interior Architecture Studio at DIS, I will get my first glimpse into an international lifestyle. Prior to leaving, however, these past few weeks has been nothing short of a whirlwind. From the copious amounts of laundry and pre-departure cleaning plus finishing my finals, there wasn’t any time to properly process that “ERMAGHERD – it’s here! My summer at DIS is finally here!” Fortunately, I began trolling Instagram and various means of social media in hopes of perfecting my Copenhagen bucket list back in April (spoiler alert: it’s ever growing and far from finalized). Like any DIS student, there are the touristy moments that, of course, need to be seen, but I’m also looking forward to living like a local this summer. So much so, I opted for the Rented Room housing arrangement, where I’m living with a nice guy named Mads. It’s been great getting to know him over the week, and I’m sure we’ll become fast friends over the next month and a half. This summer, I’ll be blogging about my adventures for DIS. I am not quite sure where this summer will take me, but I’m glad we’ll all be along for the ride! Over the course of the weekend, I’ll be exploring more of the city with plans to report back, so stay tuned! Previous Field Studies: What Are They? It sounds like so much fun! You’re writing is good and I cannot wait for further updates. What is DIS?